“Fifty years after the birth of corporate computing, IT today is still characterized by 50-70% project failure rates. Which is pretty scary when you come to think of it: either a goblin has cast a spell on a whole profession – or that profession is doing something fundamentally wrong”. He proposes a new model for IT in which the traditional client/vendor relationship, with its contractual commitments, is replaced by a shared risk/reward partnership geared towards workable results over time. Using real-world examples and a case study, the author walks you through the end-to-end processes of an IT department, covering subjects like demand management, investment planning, agile development and managing production applications. Michael Gentle has over 25 years of experience in IT departments, consulting companies and software vendors in Europe, North America and Asia-Pacific. 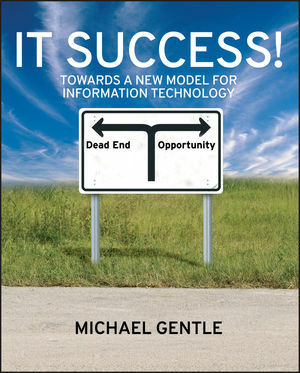 He brings a refreshingly new angle to an old problem - and directly challenges both IT professionals and business executives to think differently about how to achieve IT success.